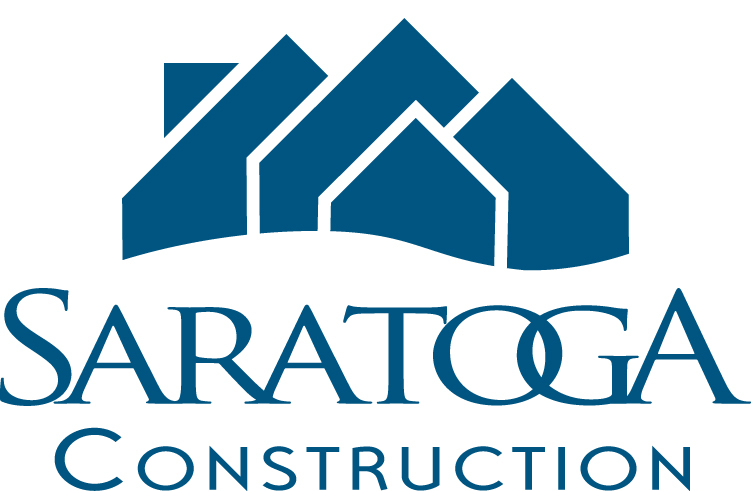 Saratoga Construction offers a full line of pre-engineered Post Frame buildings (often referred to as Pole Barns) from one of the industry leaders, EPS Buildings. 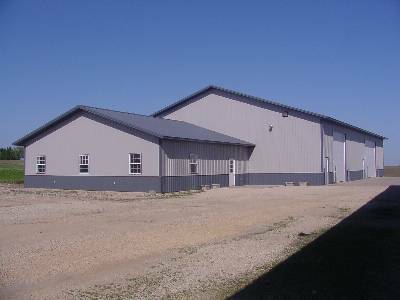 Whether your new Post Frame building will be used for a horse barn, storage building, garage, commercial building, farm storage or workshop, we can design and build a Post Frame building to meet your needs. There is greater design flexibility when using post-frame construction techniques. For example: —Long span trusses create large building open areas without the need for interior load-bearing walls. 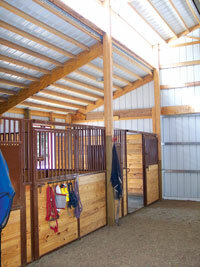 —Wide post spacings create flexibility for large wall openings. Building system cost savings are considerable. Savings can be realized in: materials, labor, the use of more cost-effective construction equipment, lower interest costs due to quicker erection, less building maintenance and energy savings. State-of-the-art engineering is built into our post-frame construction providing dependable guaranteed performance. Site preparation is easy and post-frame structures are very adaptable to problems sites such as steep slopes and flood plains. EPS has a reputation for offering the widest possible product options at the most competitive prices. 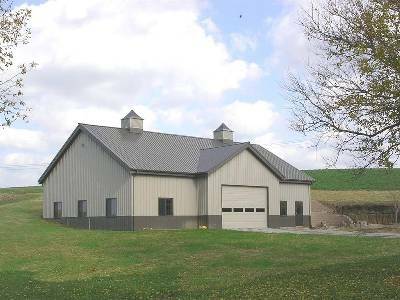 If you are looking at Morton Buildings or Lester Buildings for Post Frame Buildings in Upstate New York, you’ll be very pleasantly surprised at our pricing. Every EPS pre-engineered building is evaluated for cost effective solutions, maximum performance and spans. Every customer will receive a guaranteed engineered structure to support optimal wind and snow loads. EPS will only sell engineered buildings according to current International and State Agencies building snow and wind loads, (IBC). From 6′ on center to 12′ on center, and from 30 lb. to 200 lb. snow loads, EPS has you covered. The pre-engineered building package will meet the wind load and snow loads specified. EPS Posts carry a 50-year warranty for insects and decay. EPS XT-40 Ceranamel Super Durable coil coating carries a 40-year warranty for chipping, cracking or peeling. 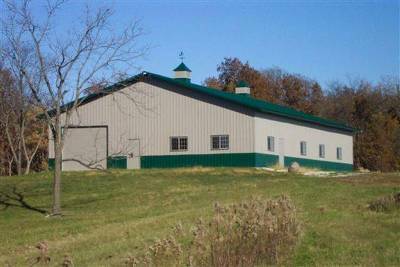 For more information about building a Post Frame building or Pole Barn in Upstate NY, please contact us.